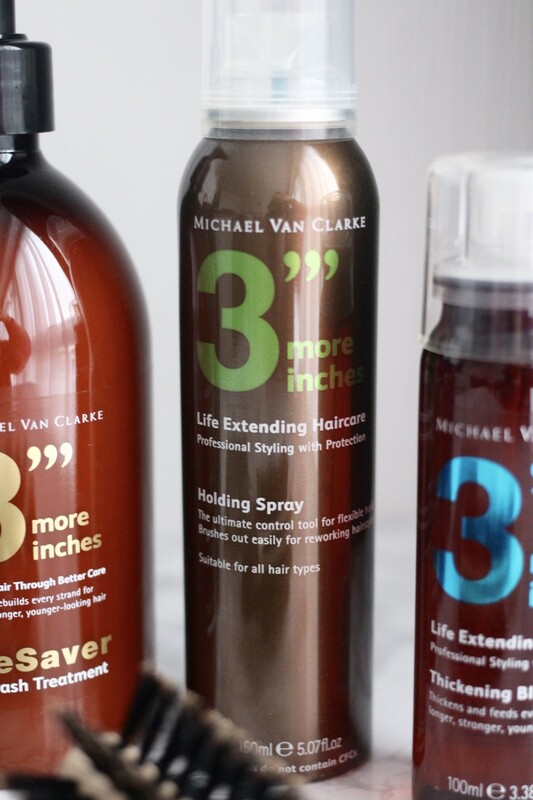 If you asked me what hair salon I’d recommend in Central London – without a doubt, I would say Michael Van Clarke. 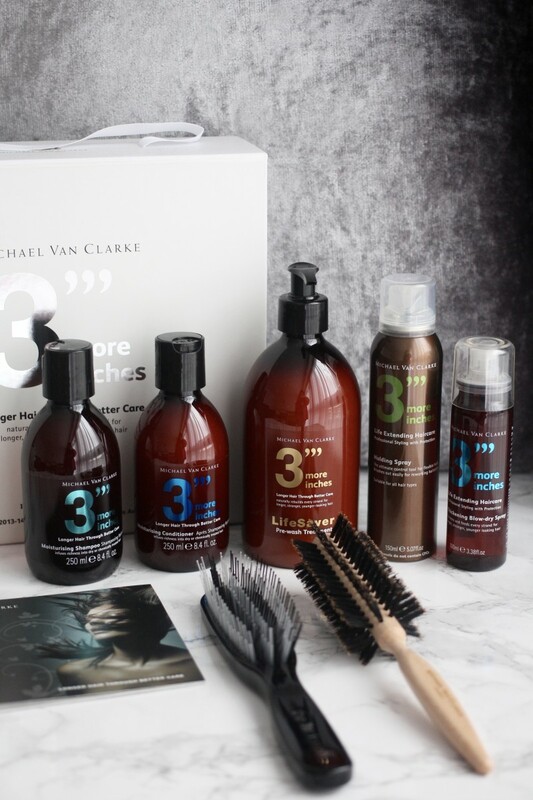 I’ve had the pleasure of meeting Michael himself who is the genius behind the salon as well as one of my favourite hair products – the 3 More Inches Pre-Wash Treatment. The salon is nicely tucked away within walking distance from Bond Street and boasts 2 floors with a café that is open to all - not just salon clients. I have had my hair done, around 3-4 times at MVC and I absolutely loved it every single time. The salon is super luxurious and each and every one of their staff members are friendly and great at what they do. I particularly love a lady called Summer, she’s definitely one of my favourites. 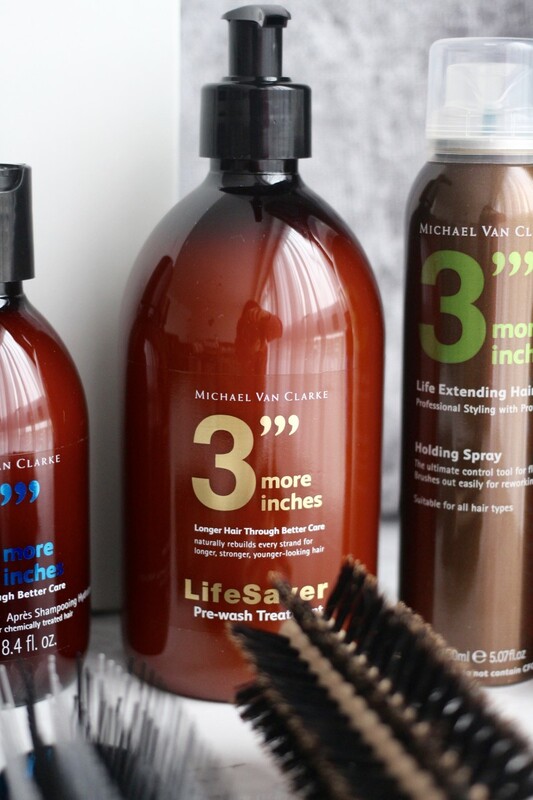 Let’s talk about the products – as mentioned, the 3 More Inches by Michael Van Clarke Pre-Wash Treatment is one of my favourites from the range. It is what it says on the bottle, a treatment that is applied prior to shampoo-ing. The purpose of the treatment, inspired by modern lifestyles which consists of a lot of heat styling, colouring and sun exposure – has been designed to reverse the effects of damage by protecting the stands from root-to-tip. Developed with unique cashmere protein and amino acid, the formula slows the ageing process allowing the hair to grow longer in a quicker time period. 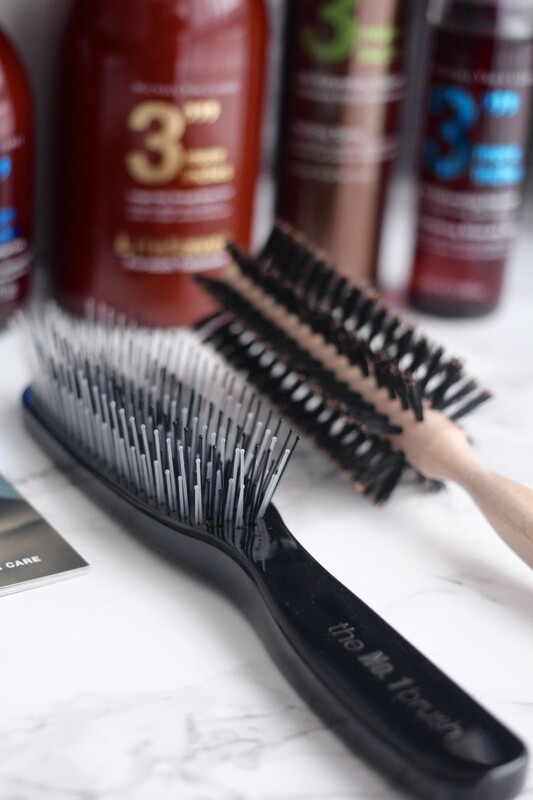 So if you’re looking to grow your hair, then this may be the answer to your woes. 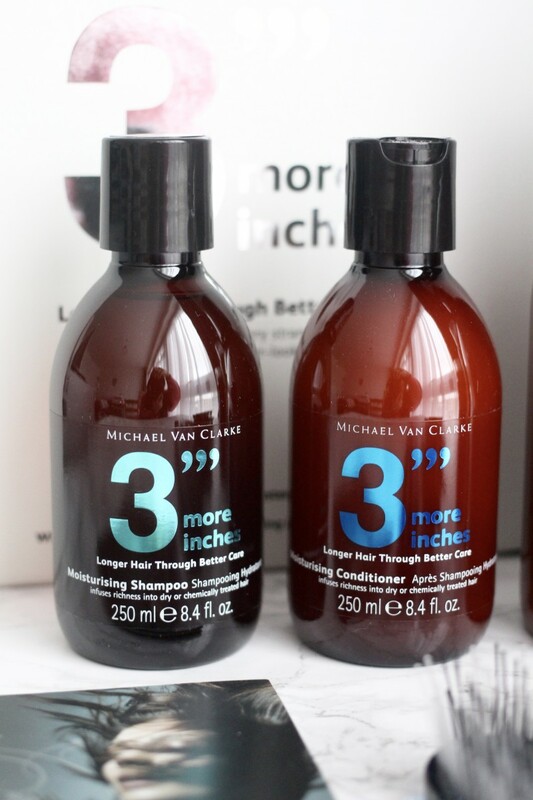 Alongside the Pre-Wash Treatment, lies the next steps in the 3 More Inches ‘system’ – the shampoo and conditioner duo. 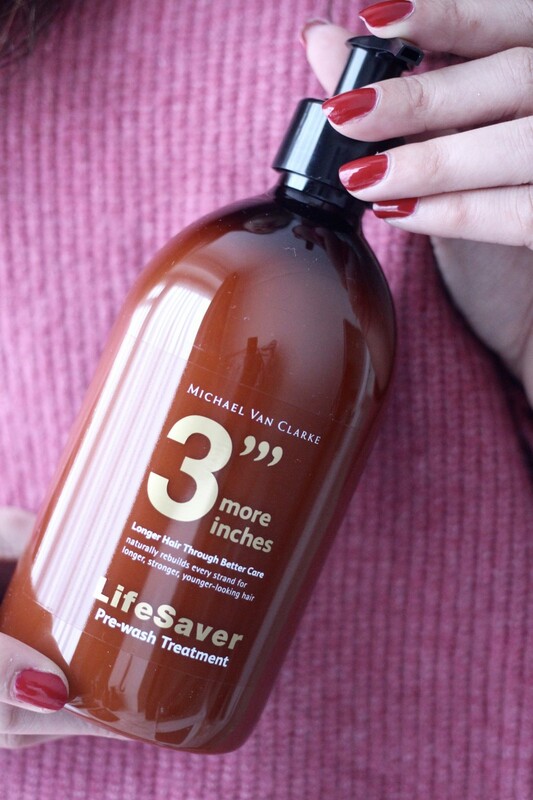 The 3 More Inches Shampoo also contains cashmere proteins to gently cleanse the hair, leaving it supple and shiny. 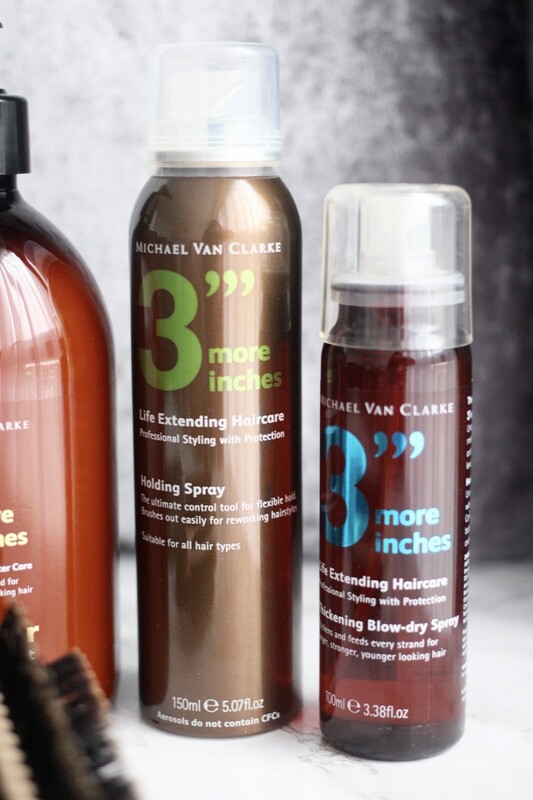 Following on with the 3 More Inches Conditioner, this luxury creme provides a protective seal over every strand and ensures it stay soft and smooth until the next wash.
For that extra added oomph, the 3 More Inches Thickening Blow-Dry Spray is a must-try. It’s a leave-in elixir that helps to promote growth whilst boosting thickness and volume. I also love that this spray leaves my hair feeling super soft and shiny without feeling heavy. 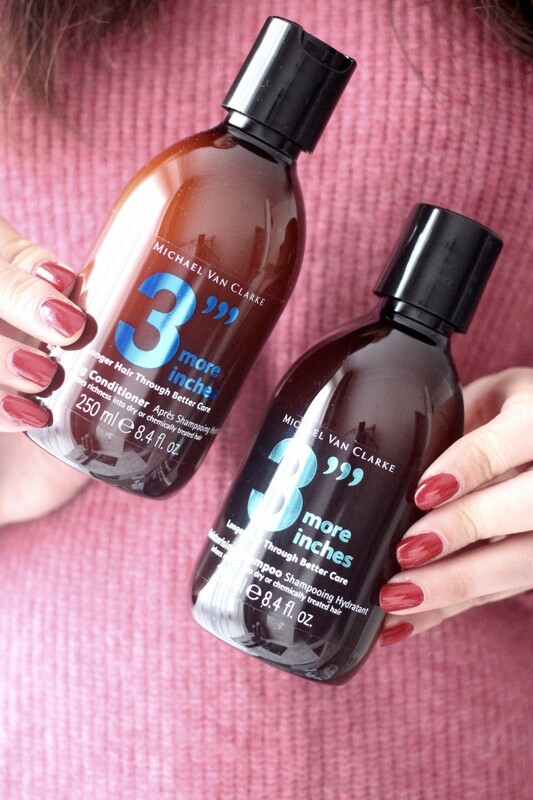 Another product I’m also loving is the 3 More Inches Holding Spray especially for when I curl my hair as it gives great hold whilst still maintaining that lightweight feel. It contains all the protective qualities from the rest of the range which is great. As well as the system being an ‘at home’ process, clients in salon can also purchase it as an add on to their treatment. The process is the same and there is that added luxury of having that gorgeous blow dry done at the end. I had this done once and I loved the finished look, it made my hair look and feel great for days. This treatment isn’t actually something on their price list at the moment, but you can request it when you book. Have you tried anything from 3 More Inches before? If not, would you consider giving it a try?